The city and the Little Italy neighborhood of Manhattan unequivocally need more affordable housing and more green space. When these amenities exist alongside one another in a symbiotic relationship, community is strengthened. This vision for a stronger, inclusive community is the promise of the Haven Green project. It is the vision shared by its development partners: Pennrose, RiseBoro Community Partnership and Habitat for Humanity New York City. It is a vision now threatened by a vocal minority of community residents seeking to derail the project. One of the common objections voiced about Haven Green is that an “alternative site” exists that could accommodate our development. We have been asked again and again why we can’t just “build over there.” Although it is tempting to think that the current garden space could be preserved in its entirety while Haven Green is built elsewhere, this thinking ignores critical contextual realities that must be confronted. First, there are very few City-owned sites within Community Board 2, and even fewer that are feasible for affordable housing development. The designated site for Haven Green is the only currently developable site that is controlled by the City’s housing agency. The other oft-referenced site on Hudson Street is controlled by the Department of Environmental Protection (DEP) and contains a critical water system access shaft. Despite the fact that the Hudson Street site is not a currently viable alternative, the City is evaluating it for future housing and green space development. The depth of the affordability crisis requires this kind of expansive strategy to maximize public benefit on public resources. We need more projects like Haven Green to be built, not fewer. More importantly, fair and equitable housing policy calls for all community districts, and all neighborhoods, to participate in alleviating the affordability crisis. 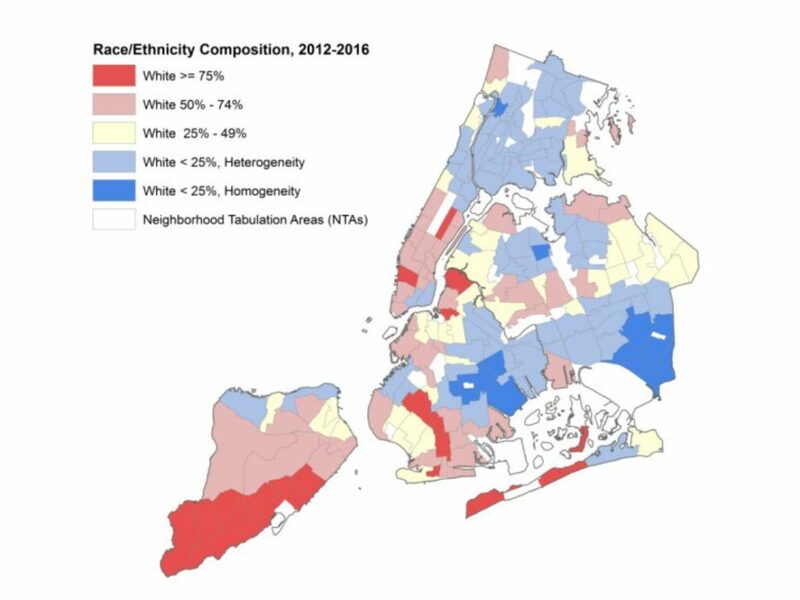 A recent City Council report on desegregation, as well as Speaker Corey Johnson’s efforts to codify the Obama administration’s stalled Affirmatively Furthering Fair Housing rules, highlight the need for “high opportunity” neighborhoods to contribute more in tackling these challenges. Identifying one site a mile away in a different neighborhood as an “alternative” minimizes the dramatic need for affordable housing the city faces and every New Yorker’s responsibility to meet the challenge. CB2 is one of only two community districts in Manhattan in which the population is equal to or more than 75% white. The median home value is nearly $2M. Stopping projects like Haven Green will perpetuate inequality by ensuring affordable housing will continue to be predominately concentrated in historically “redlined” neighborhoods while more affluent “high opportunity” neighborhoods are able to fund legal challenges and PR campaigns to stop fair housing projects. Since 2014, only 93 new affordable units have been developed in all of CB2, and a project at St. John’s terminal that was initially going to produce 178 units of senior housing is no longer happening. 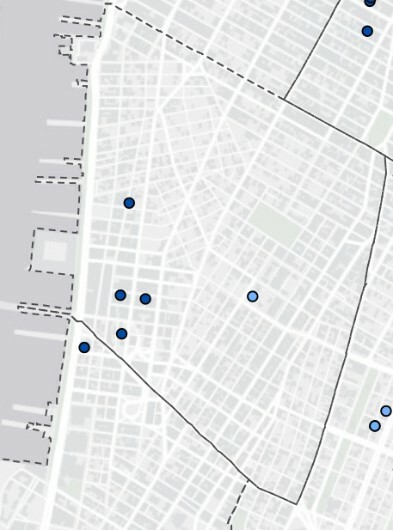 In comparison, one seven-block stretch in East New York has built 648 units over the same time. This discrepancy is emblematic of the burden that low-income minority communities have historically carried in easing New York City’s housing crisis. It is a social justice issue that contributes to the deepening of inequality among our neighborhoods. It is time to take steps to cure historical inequities. It is time to build diverse, inclusive communities in high opportunity neighborhoods. It is time to embrace the Haven Green vision. 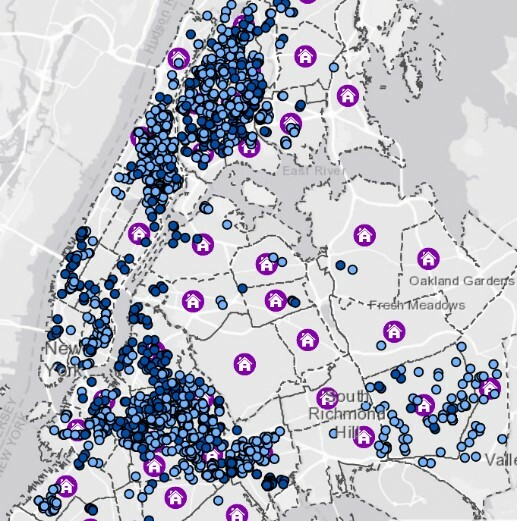 With at least 4,600 seniors awaiting affordable housing in CB2 alone, and the average wait time for senior housing currently 7 years long, more than just one project is needed in the community. Opposing Haven Green and proposing a site not yet even in the development pipeline as an “alternative” is a disservice to our elders in need of housing today. These are the people that housing advocates speak out for—and with—those seniors who have articulated to us that they need housing. The community of need is larger and more diverse than their most vocal opposition, and this is why advocacy matters and why Habitat NYC and our development partners at Pennrose and RiseBoro are willing to take the hits aimed at us. We are committed to serve the most vulnerable among us. We ask that the community consider this development project on its merits. It is an environmentally progressive passive house project creating much-needed, deeply affordable, LGBTQ-friendly housing for seniors, including formerly homeless seniors. It includes both a community facility space and a year-round, publicly accessible green space within the heavily gentrified neighborhood of Little Italy, a “high opportunity” neighborhood not likely to see another 100% affordable project in the future. The development team understands the value that the current space has brought to the neighborhood and the project design is a thoughtful homage to its origin. Haven Green is not pitting affordable housing against green space; the reality is that the project offers both to a neighborhood where both are so desperately needed. The end result seeks to be an aggregate of thoughtful design and community input rigorously gathered through a participatory process resulting in a space designed with the community, accessible to the community year-round, and stewarded in partnership with the community. In a time in our country when continual conflict and civil discord are so prevalent, we as a development team seek to operate with the intent of disagreeing without being disagreeable. We seek a partnership with all those interested in honestly tackling the diverse needs of our communities through collaboration and participation. It is only when we come together as affordable housing and green space advocates that the project site will represent the vision of both and provide a useful model for future development. We must embrace the vision of a more inclusive, diverse, and equitable city put forth by Haven Green. There is no alternative.